The tunes were blasting from my iPhone (because no radio station would come in). The windows were wound down (though I was bundled up against the chilly wind). And I was ready to drive one of the coolest roads in the world. Usually when you think “road trip,” you think of vast distances and open highways. Something like driving across the US, perhaps. But one of the coolest road trips I've ever done only lasted for 8.3 kilometers. 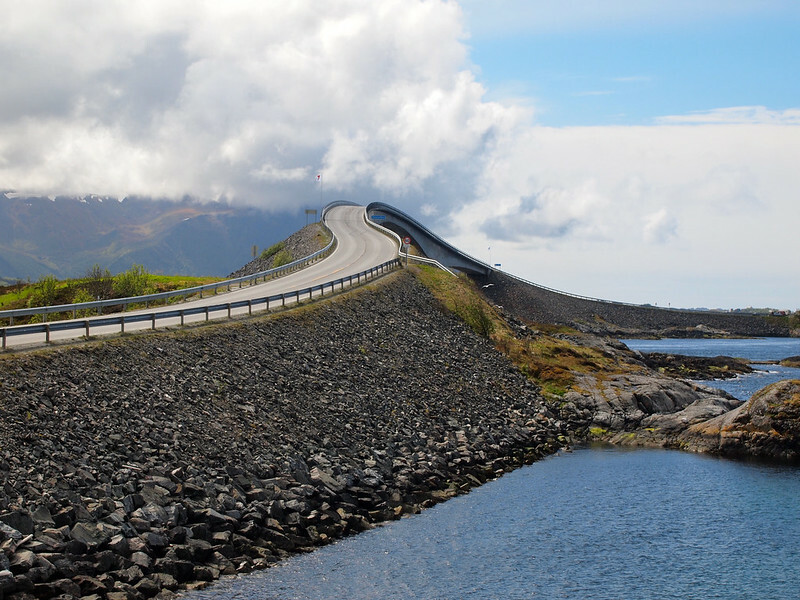 This is the Atlanterhavsveien, or the Atlantic Ocean Road, a stretch of Road 64 in Norway between the towns of Molde and Kristiansund on Norway's west coast. It was built in the 1980s and opened to the public in 1989. During its first 10 years it was a toll road – but today it's part of the National Tourist Route and free to drive. Over and over and over. 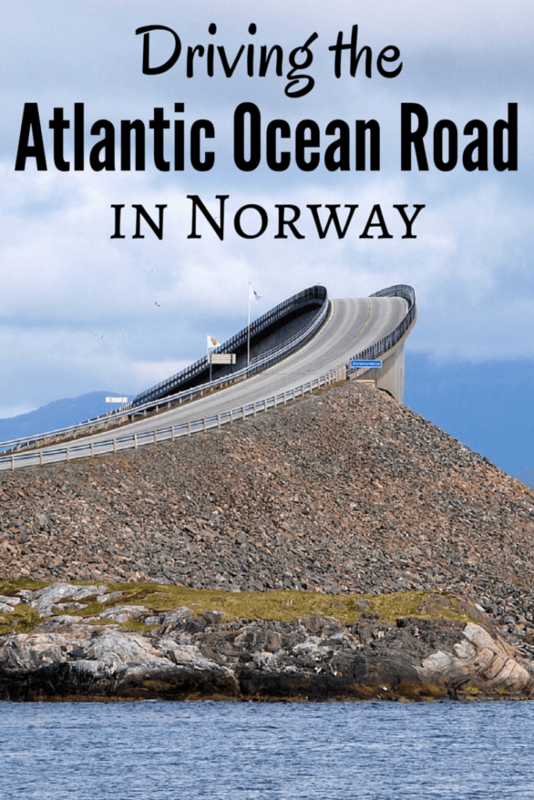 Driving the Atlantic Ocean Road (or Atlantic Highway, depending on who you ask) was the part of my Norway trip that I had been looking forward to the most. Because, sure, it's just over 5 miles long – but it's EPIC. 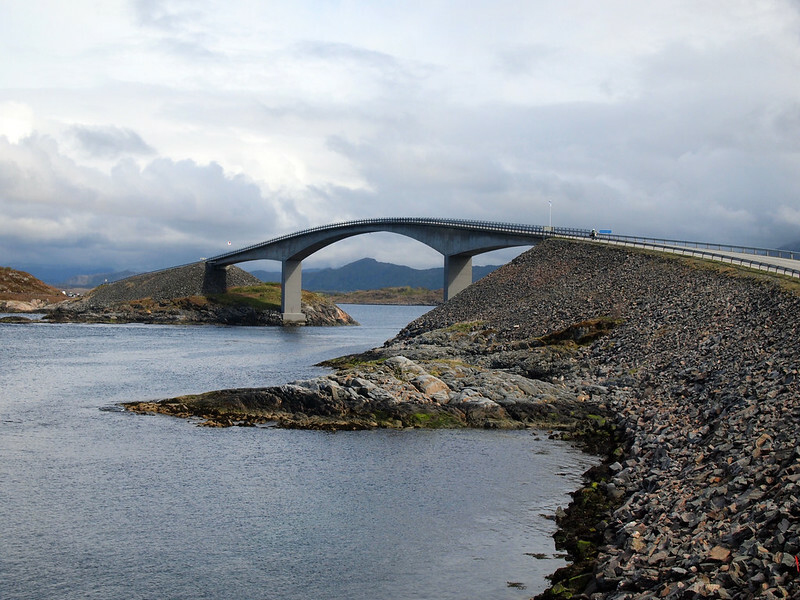 Eight bridges connect tiny little islands dotted along Norway's Atlantic coast, with the most famous (and photographable) being the Storseisundet Bridge, which curves high over the sea at a dizzying angle. I've seen photos of this road in all types of weather (including with waves crashing over even the highest bridges), but luckily the weather gods decided to gift me with patches of sun and some dramatic clouds for my adventure. 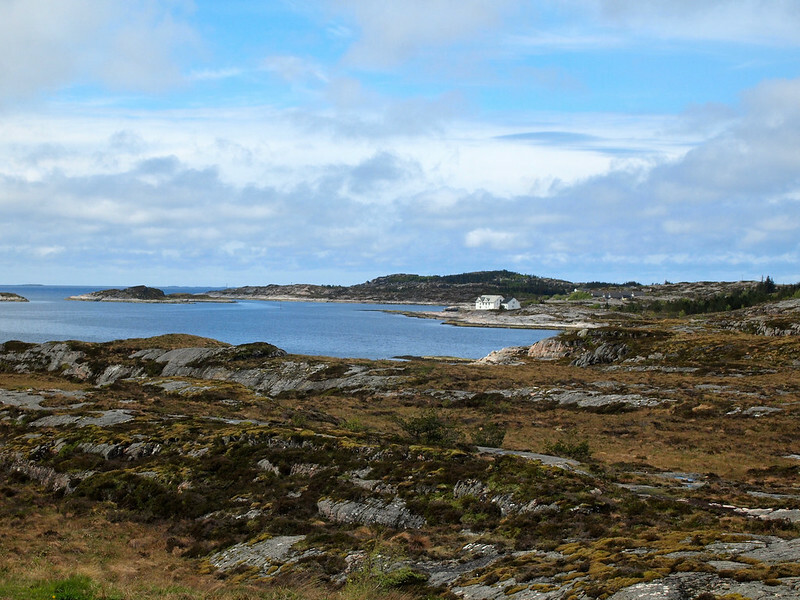 My adventure started in Kristiansund that morning, after a boat trip to Grip out in the Atlantic. 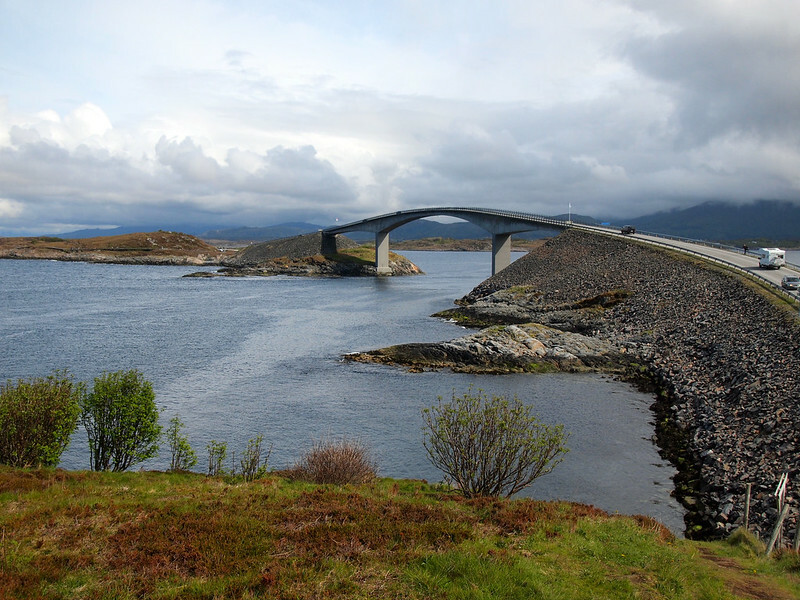 I had no plans for the day except to drive from Kristiansund to Alesund. If you Google this route, Google will tell you that the drive should take about three hours, and the suggested route will probably include highway E39. But this is NOT the route you want to take. 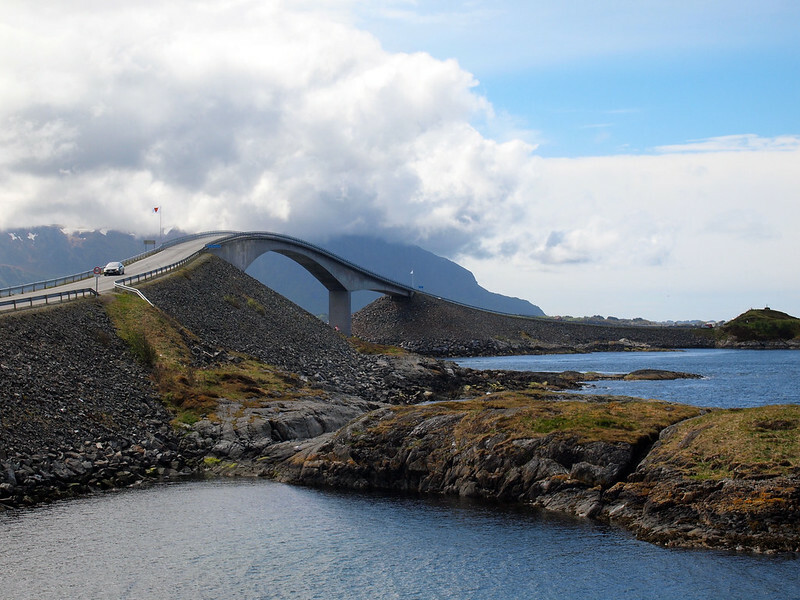 Instead, you want to set your sights on Rv64 if you want to drive the Atlantic Ocean Road. 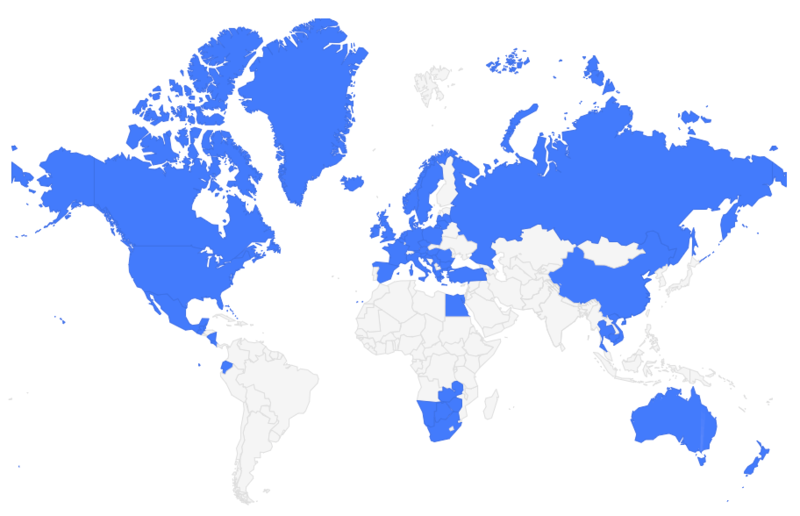 And you'll definitely want to allow for more time than what Google suggests. Even though the Atlantic Highway is only 8.3 kilometers long, I drove nearly the whole thing three times, partly because it was really fun and partly because I wanted to get different photos and video clips each time. 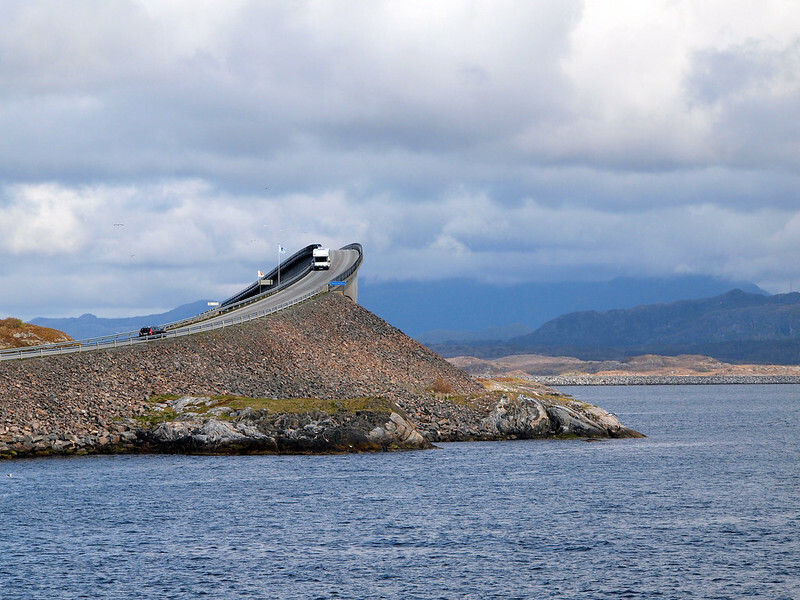 This meant that I didn't really have time to stop anywhere else on the way to Alesund – but I can't say I really cared. This was definitely a highlight of my trip to Norway – and something I definitely hope to do again! Is this a road trip YOU would enjoy? *Note: Big thanks to Fjord Norway for helping out with this part of my trip! As always, though, opinions are 100% my own. Wow, gorgeous photos, Akatuki! (As usual). That drive looks pretty amazing! I would love to try it on my next trip to Norway! It was such a cool drive. And I’m pretty sure it would be even MORE epic in bad weather! That…bridge..is..CRAY! 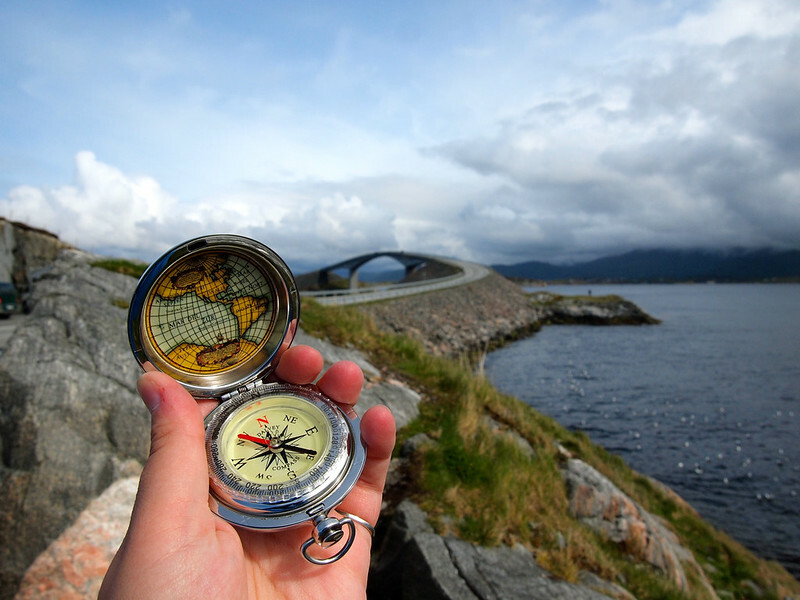 I love that picture with the compass. Great post, Akatuki, thanks for sharing! It is SO cray-cray. And I feel like it would actually be really scary to drive over with huge waves crashing against it! I think it looks fantastic! I’m all about a good scenic road trip, no matter how long or short it may be. I’m dying to get to Norway, and this post just reconfirmed my suspicions about how freaking cool and beautiful it must be. “Freaking cool and beautiful” definitely describes Norway well! “Aggressive beauty” is a new one – but I’d say it’s pretty accurate! 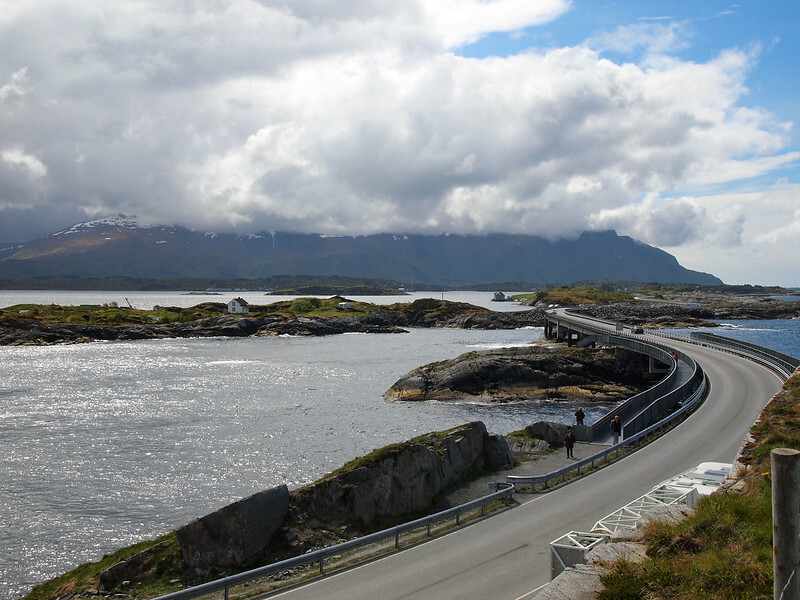 About ‘amazing road trips’ in Norway. While you were in Geiranger you were just a stone’s throw (70 kilometers) away from Trollstigen (the Troll Ladder Road). I also loved Trollstigen, but didn’t have such nice weather that day. I shared photos on my Facebook page and Instagram account from it, though, and it’ll be featured in an upcoming blog post, too – don’t worry! 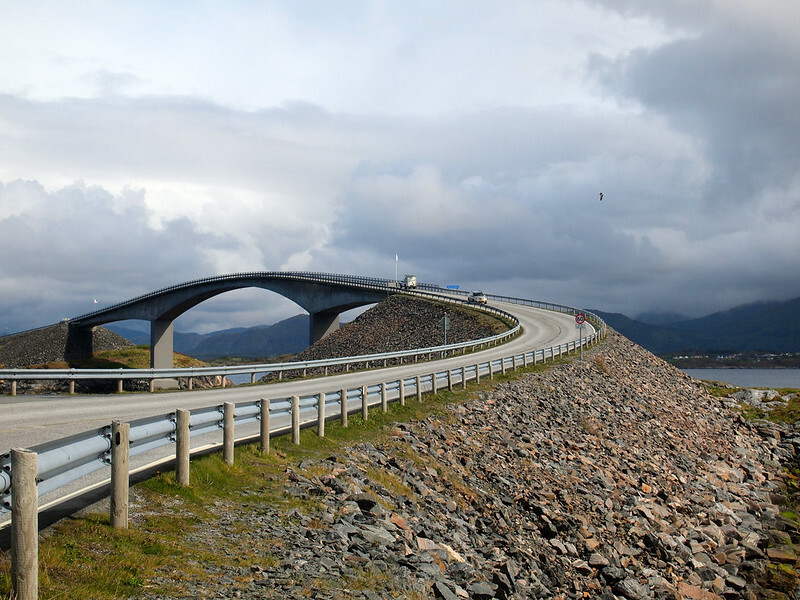 What about ‘The Eagle Road’ in Geiranger then, a small scale Trollstigen? Yup, I drove that one, too! The viewpoint at the top looking back down on the fjord was incredible! That is a very special looking bridge! I would definitely be a little nervous going over it but it looks like such a gorgeous drive. I think it’s actually scarier when you look at it from afar as opposed to when you’re actually driving over it! You don’t notice the weird shape as much when you’re on it (though you can definitely tell that you’re up pretty high!). Under certain angles, the bridge looks like a rollercoaster! So this is basically Norway’s Disneyland?! 😉 Loved the photos, loved the video – and of course I’d love to drive this! Haha I think Norway as a whole is its own special kind of Disneyland! Short but definitely epic! Norway is still one of my favourite places on the planet today. All of Norway is epic. I don’t think that country knows how to do anything less! It was so fun! Plus, I knew I wanted to make a video so I wanted to film it more than once! Yeah, I would probably drive it a few times also. Looks splendid. It was definitely worth turning around a few times! I actually wish I would have had longer – it would have been easy to spend more time at some of the viewpoints/turnoffs, too! Wow! This looks amazing! I hope to do this on an upcoming Norway trip. There are so many places in Norway that I want to see, but it’s so expensive that I can probably only do 5-6 days at the most. Any itinerary suggestions if I only had that amount of time? Itching to do this, great pictures here! 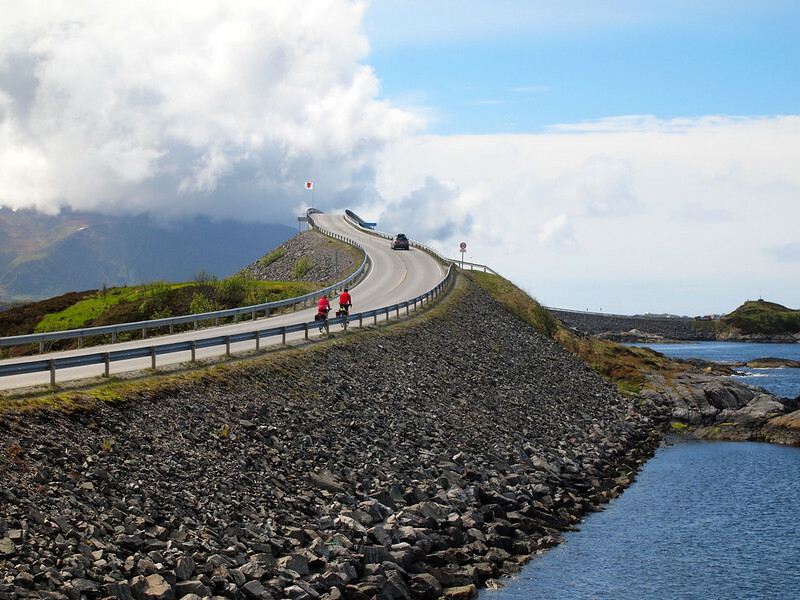 How long did it take you to reach Alesund? It depends where you start from. 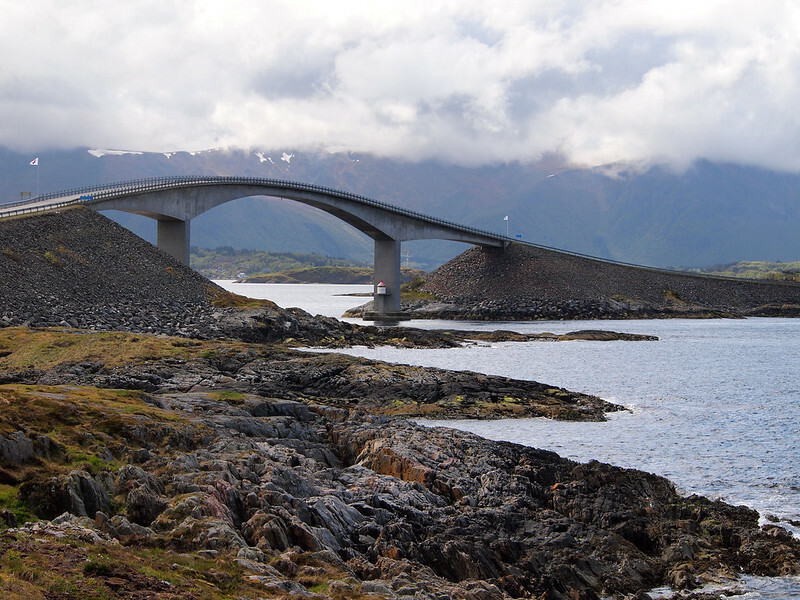 I drove from Kristiansund to Alesund, which via the Atlantic Ocean Road should take about 4 hours. It took me longer, though, because I drove back and forth over the big bridges more than once!